If the world ends tomorrow and future historians are only able to come across one copy of ancient texts from the 2000s era, I hope all they can find is a note in my mom’s handwriting. Her penmanship—always in cursive—is artful, her letters intentionally crafted. I remember we’d tease her for the amount of thought she’d put into signing a field trip permission slip. Her hand would hover above the page for 10 seconds, meticulously circling as a helicopter preparing for landing. I learned cursive in elementary school and stuck with it throughout college, believing it was a faster way to take notes in the inescapable three courses a semester taught by professors who outlawed laptops for being distractions (to be fair, they are). This conversation over whether to enforce cursive education continues, as the Illinois House pushes legislation to the Senate that would mandate the writing be taught in schools. It isn’t the first state to debate legislation over the continued necessity of cursive in schools. 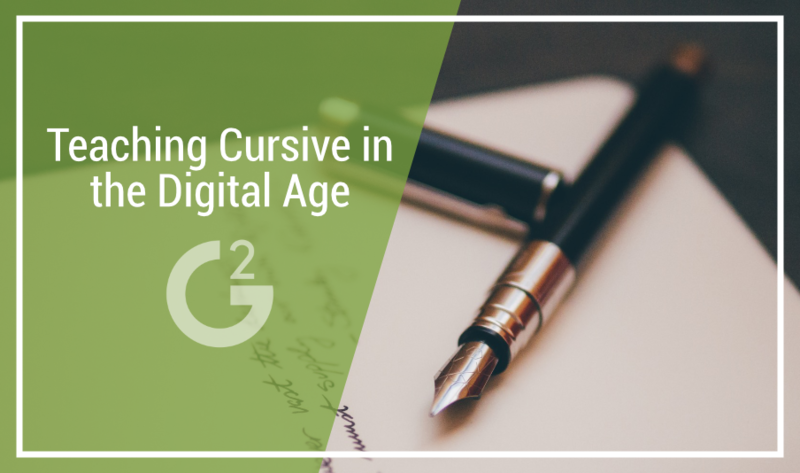 Accompanying this debate is a larger question of whether handwriting, penmanship and the understanding of classic methods of communication remain important in this increasingly digital era. But beyond understanding nostalgia-inducing items and American history, is there a psychological aspect to putting pen to paper that would fade with the complete evolution into digital communication? If we were to drop cursive education, I wonder if it’s too far of a stretch to think we’d eventually forego the practice of hand-written documentation altogether. I doubt those who aided in the origination of Latin anticipated their language would be pronounced “dead” as time went on. On a smaller, more relatable scale, can banks and other financial institutions hold people to mortgage payments and binding documents without the traditional requirement of a physical signature? As with every software type, there are security risks involved with signing documents electronically and, consequently, having minimal to no defense in the event of a forgery. An additional argument by Rep. Welch is that those who understand cursive are less likely to be victims of identity theft, as this form of writing is more difficult to believably imitate. Digital signatures are as safe as the technology surrounding them, the security of the emails and contacts they’re sent to (take, for example, the latest Gmail phishing attack) and the particular verification steps individual correspondents may require. The human signature has served as a sacred verification of identity for centuries. These John Hancocks spurred our country into existence. They’re what appear on driver’s licenses, our physical promise of who we are. They’re what we write onto receipts after spending a shameful sum on pizza and beers. E-signature tools don’t negate the importance of a signature, rather they make them streamlined, with discrepancies only as to font size or spacing. Handwriting has long served as a form of visual art created with words. As universities offer Latin instruction for the continued understanding of generations that no longer exist, I can only hope we’d maintain our enthusiasm for cursive and the written word.